How much difference do the accessibility tools inside Apple’s platforms make? Accessibility matters, not just to humans but also to enterprises seeking to build diversity in the workplace. How much difference do Apple's accessibility tools make? I spoke to people who use these solutions to get a sense of their value. Apple makes a big deal out of accessibility. This commitment has won it awards and recognition from major groups, including the American Council of the Blind, the Cerebral Palsy Foundation, and the National Association of the Deaf. 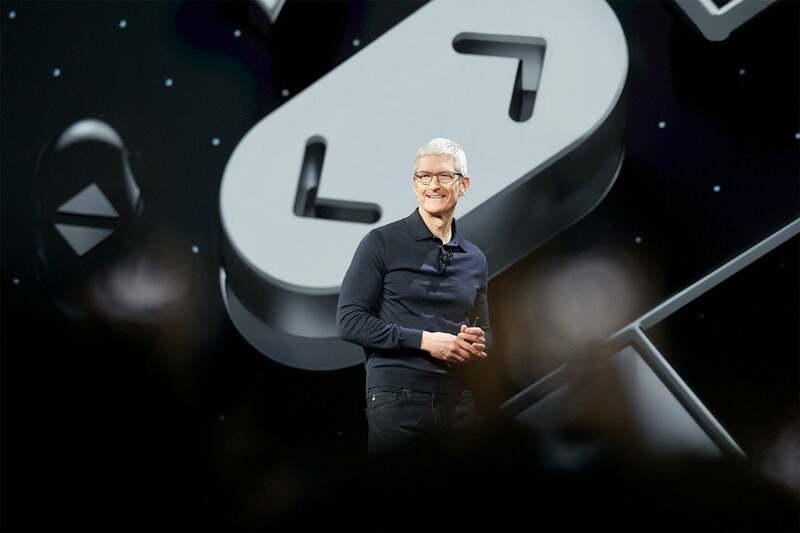 Apple says technology is most powerful when it empowers everyone. The company's senior director of global accessibility policy & initiatives, Sarah Herrlinger, is focused on improving the accessibility features inside Apple products; things like Live Listen support in AirPods don’t happen by chance. “Accessibility matters because it isn’t ubiquitous. But when it does exist, accessibility equals equality," Ian MaCrae told me. * In the UK, the Cooperative supermarket is unique in offering braille labelling on own-brand products. That sometimes dangerous barrier is being overcome by apps such as Seeing AI, ID Pro and Vision AI which help users read the barcodes on packaging. “This once again makes the whole shopping experience more equal as it becomes more accessible,” he said. If you think about the accessibility features bundled inside an iPhone, you should also think about the equivalent solutions a decade ago. You don’t just have your music collection in your pocket; you also have a digital camera, a typewriter, a translation service, a mapping tool, a switch controller, a telephone, a braille reader, a documents scanner, a text to speech reader, a talking book, a GPS tracker, a hearing aid sensor, and more. Many of these tools would once have cost as much as an iPhone. Now they’re bundled inside it. “Tools which previously could have filled a backpack now fit on a device that nearly everybody carries in their pocket,” noted David Goodwin, founder and editor-in-chief of Apple Vis, a website dedicated to empowering blind and low-vision Apple product users. Apple in 2016 demonstrated the value of Switch Control support when it introduced us to the work of video artist Sady Poulson, who has cerebral palsy. She uses Switch Control to get things done, including applying her creative intelligence to make video. “When technology is designed for everyone, it lets anyone do what they love, including me,” she said. Think how releasing talent otherwise locked in by disability could help your enterprise recruit people to fill certain tasks, from coding to analytics and more. Simon Wheatcroft is blind. Currently studying for his MSc in computer science, he was able to run the New York Marathon thanks to his use of Apple tech and a solution from WearWorks. He told me he would be unable to complete his course without his use of Apple hardware. Not so many years ago, big software and hardware companies charged additional fees for accessibility products. Solutions were often developed by small third-party companies without input from the OS developer. Some of these attempts were “laughably bad” at what they did, says McCrae. Windows users were required to install expensive solutions such as JAWS for Windows, and actually learning how these systems worked imposed additional complexity. “Accessibility is something that has been incredibly important to Apple for many years,” Herrlinger said. Apple’s decision to make its products accessible (which even extends to its stores and new Apple Park HQ) means other companies have moved to make their own solutions accessible, too. Macrae also talked about a Microsoft app called Seeing AI. A talking camera for the blind, this app will read text, scan barcodes, identify colors, and describe its user’s surroundings — and is also controlled using VoiceOver. While we often see it as a series of out-of-the-blue innovations, technology is iterative, a process of successive developments. It’s no different when it comes to making products accessible. Think about the braille keyboard that’s already inside iOS. Could haptic technology become some form of "Virtual Braille" on an iPhone screen? Perhaps you would be able to take an image with your camera of a boxed item and read what was written on the box in virtual Braille, suggested McCrae. iOS already supports braille tables in over 25 languages, and there is already a braille smart watch that pairs with an iPhone. While Apple’s award-winning focus means it provides tools to help make accessible solutions, not every developer is committed to implementing these technologies across their products. “Developers need to realize that accessibility shouldn't be a feature. It is a requirement,” wrote WWDC 2018 student scholarship winner John Ciocca, developer of youBelong and MyVoice. Developers (and everyone else) should also consider that what we call accessible technologies today may become primary user interfaces tomorrow. It wasn’t really so long ago we couldn’t ask Siri to open the doors, call the cab, or send an email. It was not so very long ago that we became able to walk through a city using nothing but a Maps app and a few haptic taps on our wrists. These tools are empowering lives. Updated 18/10/18 with further comment from Ian Macrae. Google+? Hopefully you are already part of AppleHolic's Kool Aid Corner community, but as Google is closing its social network soon, please also follow me on Twitter and join me in testing my MeWe group, AppleHolic’s bar & grill.